Lazesoft Recovery Suite Pro is the premier all-in-one recovery package. L'offre gratuite du jour pour Lazesoft Recovery Suite Pro 4.2.3 était valable le 13 juin 2017! 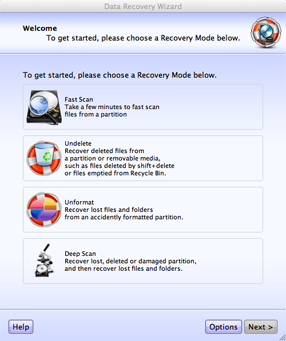 Lazesoft Recovery Suite Professional Edition is the premier all-in-one recovery package, offering many useful tools. These useful functions are found in different modules of the Lazesoft Recovery Suite, including Data Recovery, Password Recovery as well as Disk Image & Clone. It provides stable, powerful and easy-to-easy to use functions to solve the common Windows problems, such as lost Windows login password, accidentally formatted drive, boot problem, clone system disk to upgrade or migrate, backup system online and offline. It has a Media Builder to create bootable CD/DVD/USB disk. Users can use this software to solve the problems even Windows does not boot normally or crashes. Please note: The users with the top 10 best improvement ideas will be rewarded with a full-functioning lifetime license of Lazesoft Recovery Suite Professional Edition. Please use the IdeaInformer widget to supply your ideas! Lazesoft Mac Data Recovery is one of the most powerful real free data recovery software for the Mac OS X operating system, which allows you to recover unlimited GB of data without paying one penny. Lazesoft Windows Product finder is a free Micrsoft Product key finder for Windows 2000, XP, 2003, Vista, Server 2008, 8, 8.1, 10, Server 2012 and all versions of Microsoft Office. 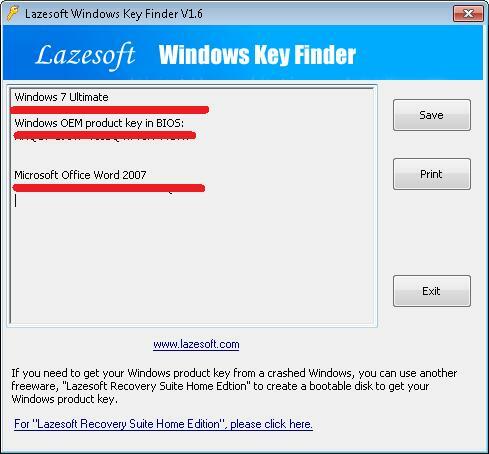 Lazesoft Windows Product can retrieve windows 8, 8.1 and 10 product key both from BIOS and registry file. 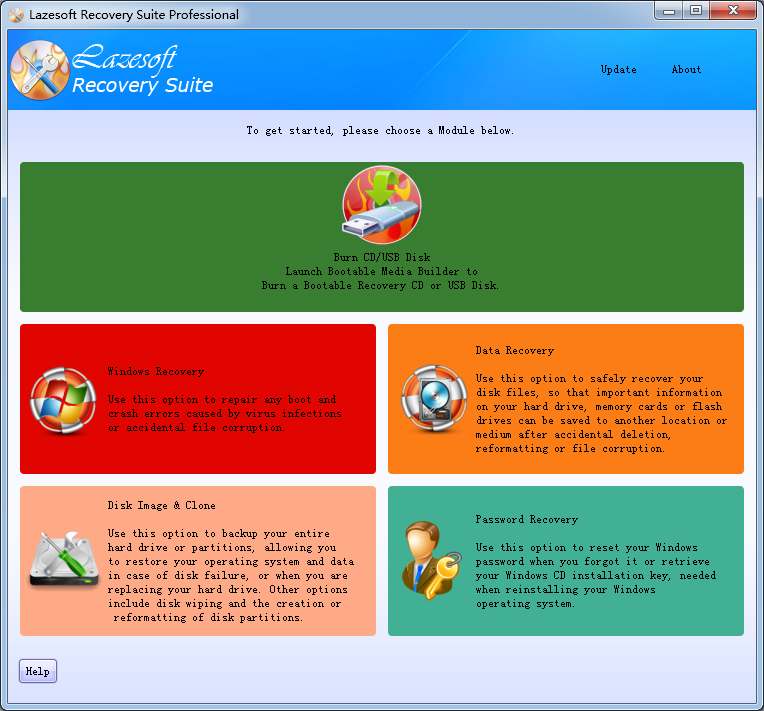 Lazesoft Recovery Suite Pro is worth checking out IMHO. If you plan on being able to use the bootable USB stick/disc it can create, Do Test it before you actually need to use it. That's not a fault in or with Lazesoft Recovery Suite Pro -- nowadays with Secure Boot, plus UEFI & Legacy Bios hybrid modes, it can be iffy. If the USB stick you make with LRSP won't work, if your device has a DVD drive, a bootable CD/DVD might work instead -- some bios will automatically switch to a legacy mode booting from an optical disc. Another option would be to create an ISO using the LRSP wizard, then use the free Rufus to create a bootable USB stick with that ISO -- it has a few options, & one of those will hopefully work with your device. Note to Lazesoft & GOTD visiters -- the guide: "How to Boot a Computer from a Lazesoft Recovery USB Device" at lazesoft[. ]com/create-a-bootable-recovery-usb-disk.html *may* be incorrect for your Windows device. On many new devices there is no boot menu screen, & to get into the bios settings you have to A) go through Windows 10 Recovery menus or page to boot into the bios, or B) shift + right click on restart on the Windows 10 login screen. You will probably want the bootable USB stick plugged in so the bios sees it. Note that many new devices will not retain the boot order setting you make in the bios, so the boot order has to be set each time you want to boot from removable media. Note that with Windows 10 1703 [creators update] you can now create a WinPE USB drive with both a FAT32 & NTFS partition -- the FAT32 partition may be needed to boot UEFI, while the NTFS partition is needed for files over 4 GB -- but you may also need to patch the ADK. You can also create a Windows To Go USB drive using the wizard in Windows 10's Control Panel. You'll need a Windows 10 Enterprise ISO mounted -- an Insider ISO will work fine -- a small free app called: "Windows ISO Downloader" may make it easier. There will be some minor restrictions because 10 is not activated, e.g. can't use a PIN to log on. Windows To Go is a full Windows 10 installation -- when you use it to boot your device it will initially look for needed drivers from Windows Update & install them, but start normally from then on with that device. That means that it's both relatively large & will continue to grow as you use it with additional devices. At around 1.5 GB, an ISO created using MistyPE is one alternative. When i tried to install it on my Windows 10 PC it appeared to install very quickly and the usual Successfully Activated screen popped up and opened my browser. But where was the software? I downloaded it again and tried again, same results. In the end I had to turn off AVAST antivirus for 10 minutes and it then installed without any problems. I got no messages or warnings, but AVAST must have blocked something. When i tried to install it on my Windows 10 PC it appeared to install very quickly and the usual Successfully Activated screen popped up and opened my browser. But where was the software? I downloaded it again and tried again, same results. In the end I had to turn off AVAST antivirus for 10 minutes and it then installed without any problems. I got no messages or warnings, but AVAST must have blocked something. When I Googled this product looking for reviews I found that the professional version can be downloaded for free. So what is special about the Giveaway of the Day? andrew wiggin, Lots of programs that come with a price tag are free to download ... emphasis on "DOWNLOAD" ... generally come with a trial period of between 10 to 30 days as is the case here. Installed successfully under windows 10 64 bits. A very interesting software for backuping, cloning and recovering. I created a USB flash drive with ease, made a image of my system drive. A lot of other possibilities, but not necessarily for beginners. Definitively a keeper for me. Thanks to Giveaway and Lazesoft. Installed successfully under windows 10 64 bits. A very interesting software for backuping, cloning and recovering. I created a USB flash drive with ease, made a image of my system drive. A lot of other possibilities, but not necessarily for beginners. Definitively a keeper for me. Thanks to Giveaway and Lazesoft.